A smaller version of the award-winning original M-DAC and can be paired with your computer, hi-fi amplifier, active speakers or headphones for great sound at home or on the move. Earn 299 loyalty points when you order this item. 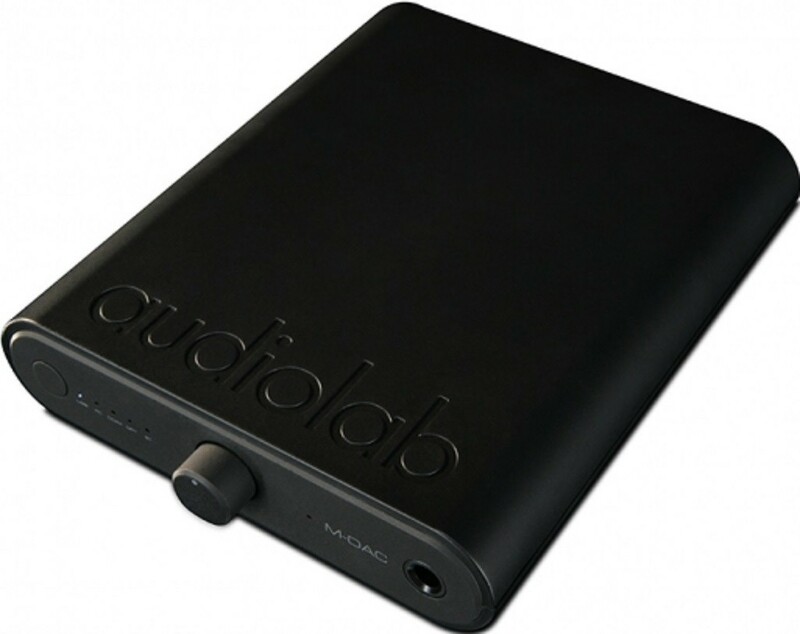 Audiolab M-DAC Mini Portable DAC and Headphone Amplifier updates the original M-DAC in a compact, ultra-portable design. Featuring a rechargeable battery, lightweight frame and high-calibre sound performance, the model encapsulates Audiolab’s innovative vision and sleek aesthetic. Let us introduce to you the fourth and newest generation of the Audiolab M-DAC family: the M-DAC Mini. 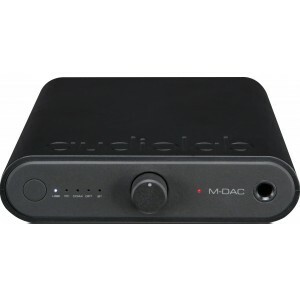 The smallest and most compact in the range, the model is a diminutive, portable upgrade of the original M-DAC. Resembling its older brother, the M-DAC Mini also similarly features a DAC design and likewise supports high-resolution formats such as the DSD64, DSD128, DSD256 and OCM formats in frequencies of 32-bit/384kHz. The MDAC distils the power and performance of the home hi-fi DAC into a compact, pocket-sized design. Discreetly shaped, it can be placed next to your home computer or laptop with minimum space and fuss, allowing you to sit back and enjoy your music. Simple controls and an analogue volume knob make this a truly accessible design. Underestimate the internal space of the unit at your peril as it includes the high-calibre components in key circuits that you would expect from a much larger model. The portability of the model is enhanced by its built-in rechargeable battery, which liberates you from the need to be close to the mains. With one eye on the future, the M-DAC Mini is ready for the high-resolution digital sounds of the future, typifying Audiolab’s cutting-edge vision. 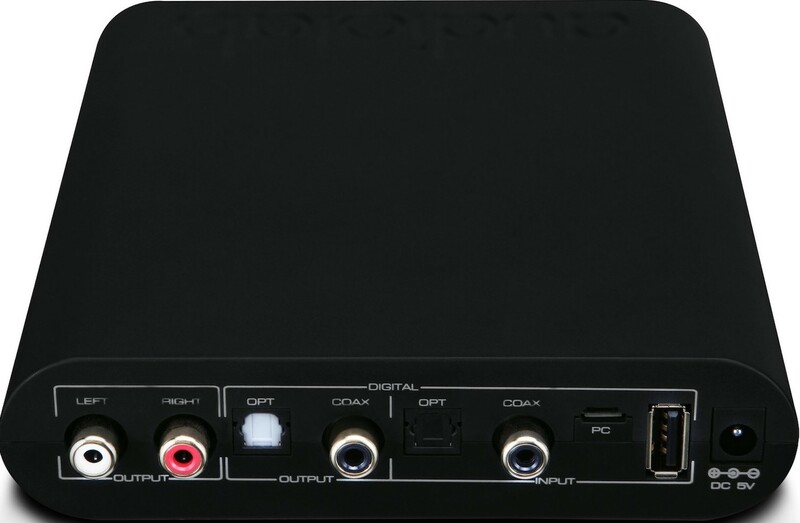 The M-DAC Mini is designed to process PCM audio data up to 32-bit/384kHz via USB. Its USB is brilliantly versatile as it supports DSD64, DSD128 and DSD256. Typical of Audiolab's pioneering ethos, the ability to support DSD demonstrates how they intend to define the high-resolution audio world. In another mould-breaking move, the M-DAC utilises an analogue potentiometer to control volume, a feature usually found in full-sized hi-fi units. This innovative twist avoids the reduced signal quality that is often found in other DACs. Following in the footsteps of its older brothers the M-DAC and M-DAC+, the M-DAC Mini showcases high-grade digital-analogue conversion, a Class A JFET output stage and a headphone amp section. Consequently, this DAC provides crystal-clear sound regardless of whether it is hooked up to an amp and speakers or a pair of headphones. For the first time in an M-DAC model, battery power is included. Along with the portability it provides, the battery offers smooth and consistent DC power which increases the sound performance by eliminating distortion which often comes from switch-mode power suppliess. Alongside this, iOS and Android devices can be charged from the M-DAC Mini when connected to the mains. A mains charger is also included with the device. Nice versitile little dac, lightweight. Connected to sonos ‘connect’ optical output it improves accuracy. I can now hear Janine Jansen sniffing her nose while playing the violin. Background cello’s improved low frequency accuracy. iPhone sound, Bluetooth connection is nice, one less wire.